By 1973, DARPA-supported researchers had come up with four different packet-switching technologies (such as packet radio and packet satellite), which led to the next challenge: how to develop standards that would enable these communications technologies to communicate with each other. Cerf, who was at Stanford University at the time and working on contract for DARPA, explained in a recent interview that it took about six months of work to develop the right architecture and create a rough protocol. He and Robert Kahn, then the director of DARPA’s Information Processing Techniques Office and who in 1976 hired Cerf as a program manager, began work on what would become the Transmission Control Protocol (TCP) and the Internet Protocol (IP). Work on developing a detailed TCP spec began in early 1974, and Cerf’s research team at Stanford finalized a publication of the standard in December of that year. By 1973, DARPA-supported researchers had come up with four different packet-switching technologies (such as packet radio and packet satellite), which led to the next challenge: how to develop standards that would enable these communications technologies to communicate with each other. The initial implementation of the first TCP/IP protocol occurred at Stanford in 1975. As it tested out over the next few years, the now-famous protocol was being implemented on a growing number of computer operating systems around the world. 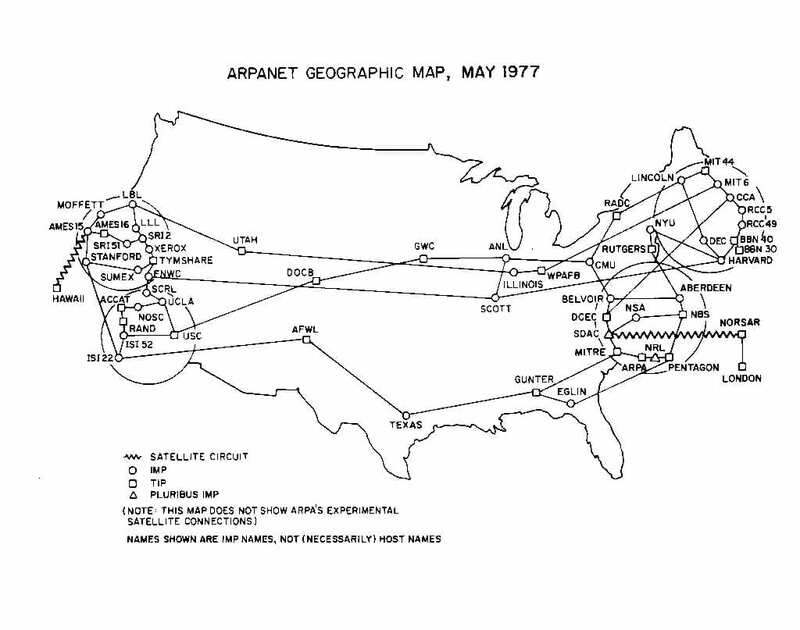 In January 1983, enough individual networks had networked with each other that the ARPANET had evolved into the internet, although the original ARPANET itself was not formally decommissioned until 1990. As technologies such as TCP/IP improved networking, scientists and engineers began to pay attention to other supporting systems, such as graphics displays. Improvements in monitor technologies also paved the way for graphics-based tools, such as hypertext. Much of this helped create, and then significantly change, what became the early internet. The work of Tim Berners-Lee on the World Wide Web in the late 1980s paved the way for the explosion of the internet across the public and private sectors in the 1990s. Early browser technologies, such as Mosaic, helped make the nascent Web more accessible and greatly expanded its utility and popularity to the public. When ARPANET began its evolution into the internet, some of the research funding went into technology development for making computing affordable to nongovernment institutions. Among these technologies were embedded microprocessors and what would become known as routers as it became necessary to move vast volumes of data packets around the growing network. To achieve widespread use of the network, DARPA supported work that opened a way for general-purpose machines to do the work of the internet rather than relying on specialized machines. These multipurpose devices became key elements of the first server farms as the internet emerged and then began to rapidly expand. It was these underlying technologies and standards that helped set the stage for the first major internet-based companies, such as AOL and Netscape. By the early 1980s, the bones of what would become the internet were in place. This new and growing network, with continued support by DARPA and the DOD, became available to the academic community, which led to the launch of other government networks. In 1983, the first part of what would become the National Science Foundation’s (NSF) computing backbone, NSFNET, was laid down using an optical fiber network.